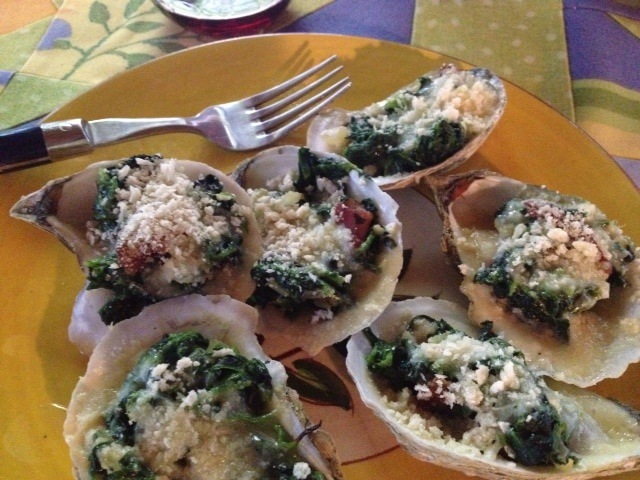 A few weeks ago Cindy and I had Oysters Rockefeller at Pusser's in Annapolis. They were great and Cindy had to try to recreate them. We picked up a dozen oysters from Glidden Point, came home and slipped 'em on the grill. Mmmmm!